Now, you may or may not remember the Fugoo speaker from when I reviewed (and loved) it back in May of 2014. If not, you can go back and read that review now. Done? OK, great. Let's move on. 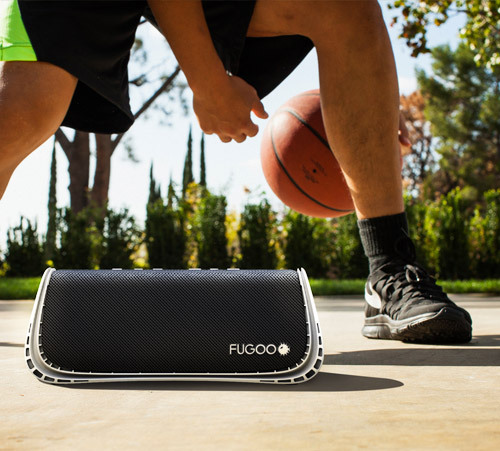 The Fugoo XL is four times the size of the original Fugoo, making it pretty dang big. To go along with that big size, it's got eight total drivers - four tweeters, two drivers, and two bass drivers. If it's anything like its little brother, that means it's going to sound great. And it should be stupid-loud, too. Just like the smaller version, the XL will feature interchangeable jackets: Style, Sport, and Tough. Also like the little fella, this one is water, dust, snow, dirt, sand, and drop* proof. It's a tank. A completely submersible tank that gets 35 hours of battery life. 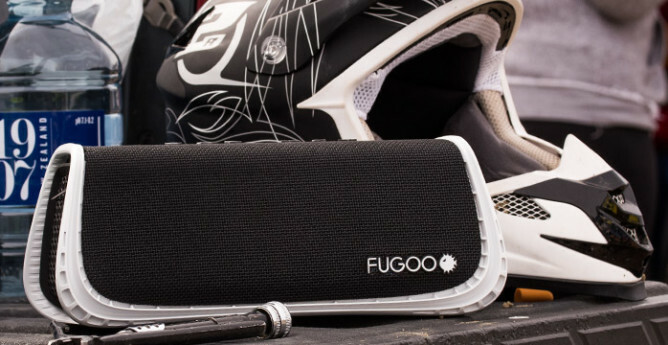 Despite being larger, that's five fewer hours than Fugoo claims the smaller speaker gets, which is probably the case because it gets so much louder. I'll take that tradeoff. The only downside of the XL is that you won't be able to buy one till April. The Style and Sport models will sell for $299, while the Tough unit will be $329. * - Shock-resistance only available on the Tough model.